The deets: Express blazer; Banana Republic pencil skirt (similar); Boutique 9 heels; Steve Madden bag; Elizabeth and James sunnies; Jennifer Hoodenpyle necklace. 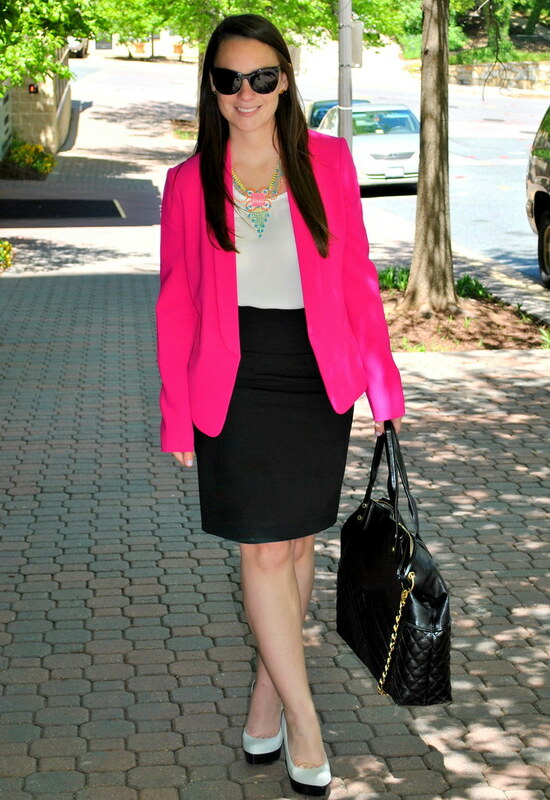 I know I just rocked this blazer in a post like five minutes ago, but I keep it real on this blog, and I totally rock my favorite pieces over and over until I get sick of them. Kind of like when you have a favorite song and you listen to it on repeat until you hate it. Do you guys do that too or am I alone in my weirdness? Anyway, I will be doing all kinds of fun things this weekend including cupcake baking, out of town friends, and the Gold Cup. Hope you all have a good one! So gorgeous, Erin! And that necklace is amazing, I love it! Great sunglasses! The shape really suits you. I love them. 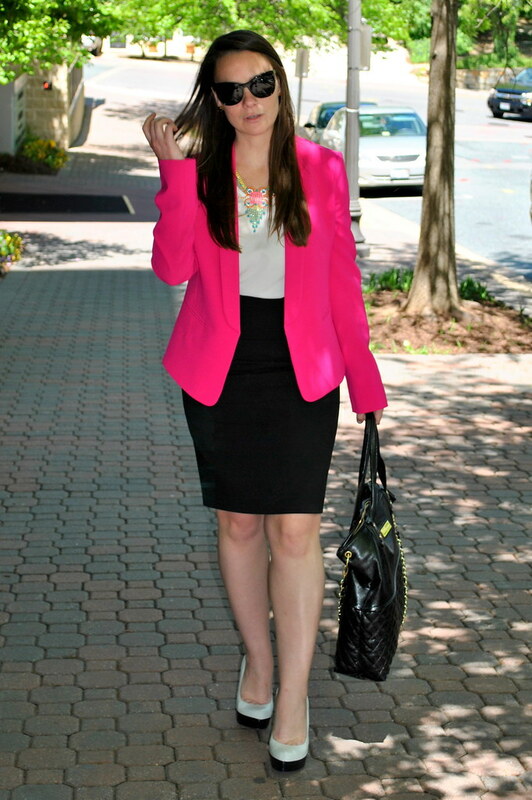 I love that blazer! 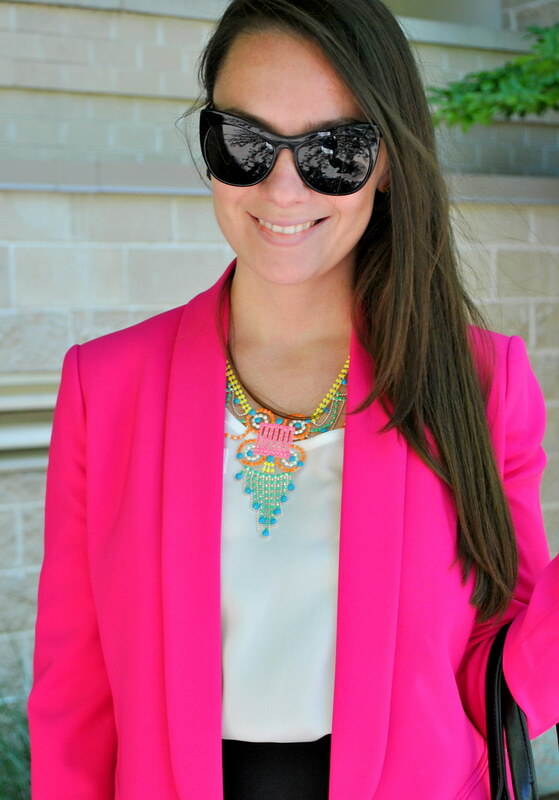 I wear my pink blazer all the time too, but I love that yours is super bright! So fun!